Get ground handling services at Portblair Airport, India at the most competitive price. Send a query. Aviation Services India through its tieups with best ground handling companies makes available ground handling services at Portblair Airport (VOPB/IXZ), India to all Private Jets, International and Domestic airlines. 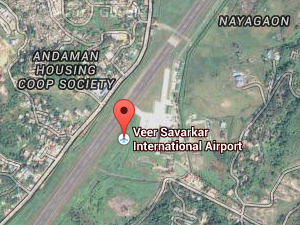 Contact us for best ground handling companies, at Portblair Airport (VOPB/IXZ), India. Port Blair is the largest town and a municipal council in Andaman district in the Andaman Islands and the capital of the Andaman and Nicobar Islands, a union territory of India. Get ground handling services at Portblair Airport (VOPB/IXZ), India. Send a query.